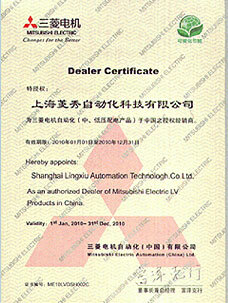 Shanghai Lead shine Automation Technology Co., Ltd. 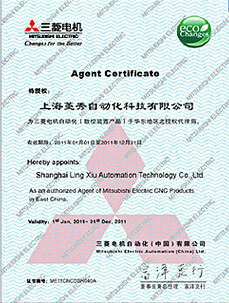 Established in 1998, and became the authorized agents of Mitsubishi CNC product sales ，maintenance, and low-voltage control products in 2005. Lead shine headquartered in Shanghai, and set up Taizhou, Kunshan, Wuxi three branches. It is divided into by Management Deparment, Account Department, Logistics Department, Sales Department, software development Department, System integration Department and Maintenance department . Technical personnel accounting for more than half of the Lead shine 's staffs, and technology is the core competitiveness of it. We professionally offer overall hardware and software solutions. We have served over 10,000 enterprises in different industries, of which ≥ 50% are mainly form CNC machine tools, automobile parts, molds and electronic 3C industry. To provide first-class and service is the objective of our company. We offer Mitsubishi CNC systems, industrially controlled low-voltage products and spare parts. Meanwhile, we offer technology application, design, equipment modification , adding features, etc as modular services. 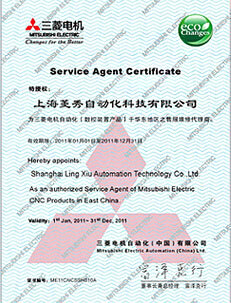 Lead shine is also the maintenance center of Mitsubishi CNC products which is authorized by Mitsubishi Electric (China) Co., Ltd.
Based on years of industry experience, Lead shine developed a powerful factories networking software, which can be customized for different demands. It can rapidly improve production efficiency while reducing the production costs to increase company’s benefits. The secondary development software of CNC system has been highly accepted by our customers, it can satisfy customers whose demands are beyond standard system function and can rapidly improve processing efficiency. We adher to the Business philosophy “4S +1 H(Specialty, Speed , Smile , Satisfaction and Honest)" and innovative ideas, pursuit excellence and improve rapidly to adapt to the market. We take the lead in establishing integrity management system to achieve customers’ trust from satisfaction. To grow together with our customers to face the challenges of the market.